I recently purchased individual music marker boards for each child from Amazon. 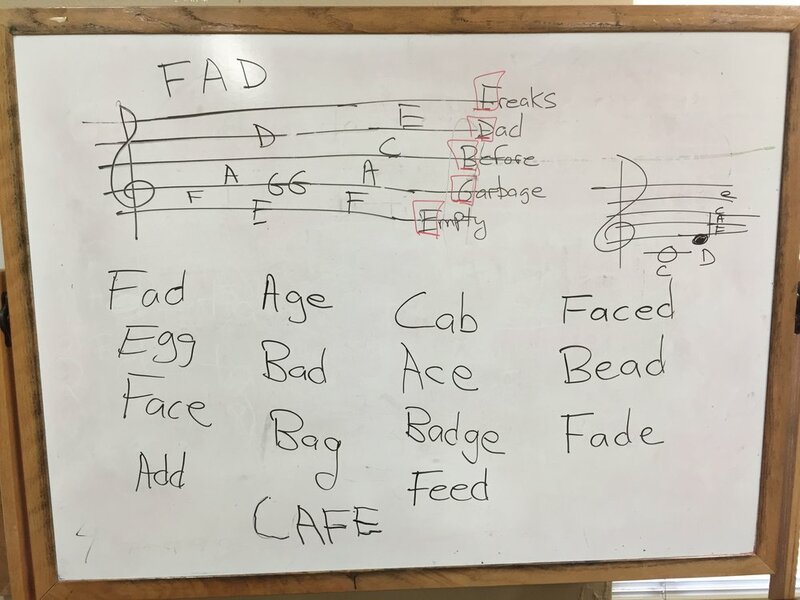 We’ve used these boards in several ways, but one of the more successful applications was to reinforce the names of notes in the treble clef - FACE and EGBDF (Empty Garbage Before Dad Freaks). One of the staff games we played was my putting a list of words on the large board and they had to “spell” out the words on their staff. Those with the most words after a period of time won a prize. We are working toward the kids being able to follow a melody line in an anthem by Christmas. It is a lot of fun to see their little competitive brains absorb theses fundamental music concepts.